Their warning comes after a young man ended up in emergency care with excruciatingly painful episodic headaches after eating a 'Carolina Reaper,' the world's hottest chili pepper. His symptoms started immediately after he had eaten the chili, with dry heaves. But he then developed severe neck pain and crushingly painful headaches, each of which lasted just a few seconds, over the next several days. His pain was so severe that he sought emergency care, and was tested for various neurological conditions, the results of which all came back negative. RCVS is characterised by temporary artery narrowing often accompanied by thunderclap headache. It doesn't always have an obvious cause, but can occur as a reaction to certain prescription meds, or after taking illegal drugs. 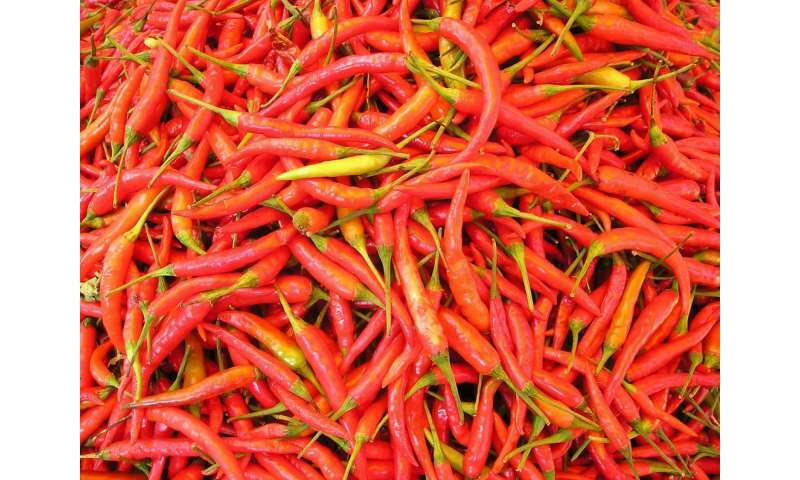 they point out that eating cayenne pepper has been linked to sudden constriction of the coronary artery and heart attacks. "Given the development of symptoms immediately after exposure to a known vasoactive substance, it is plausible that our patient had RCVS secondary to the Carolina Reaper, write the authors. The man's symptoms cleared up by themselves. And a CT scan 5 weeks later showed that his affected arteries had returned to their normal width.